Pasture pump on the market. It is suitable for both horses and cattle. Its reliability has been tried and tested for over 20 years. 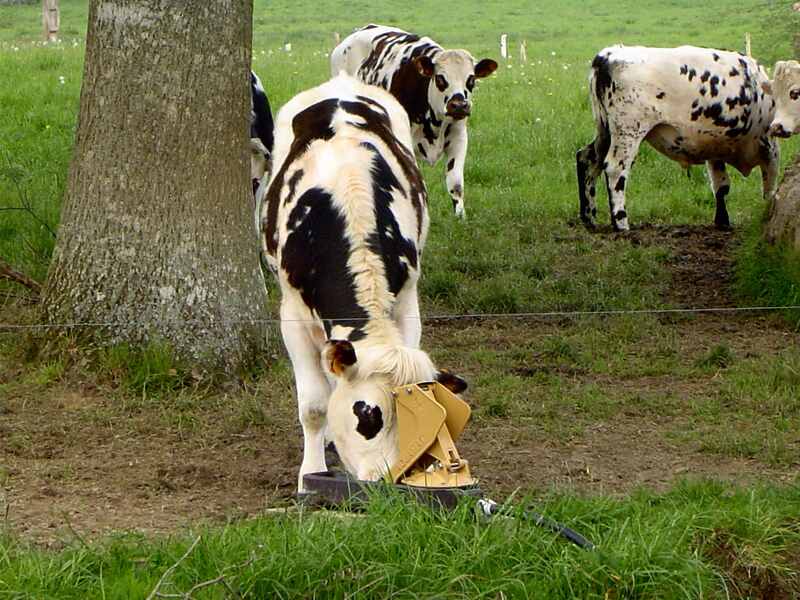 The Aquamat pasture pump ensures that your animals have a constant supply of fresh water. It is easily pushed by animals and is suitable for up to 10-15 animals. It is also available with a side bowl option for suckler cows with calf at foot. 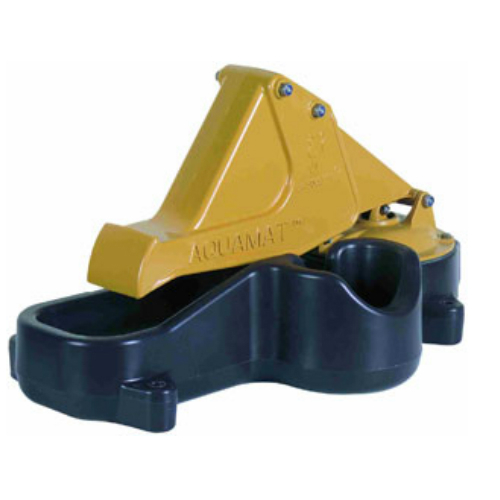 The Aquamat has a non-return valve feature to prevent the pump from running dry. 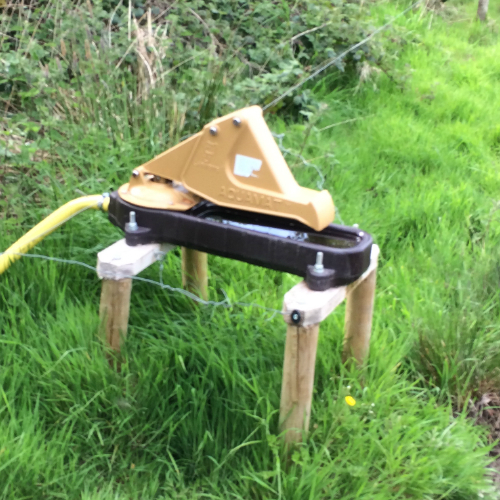 This pasture pump is very popular for the GLAS scheme; Protection of Watercourses from Bovines, the deadline to the complete works for GLAS 3 is 31st May 2017. 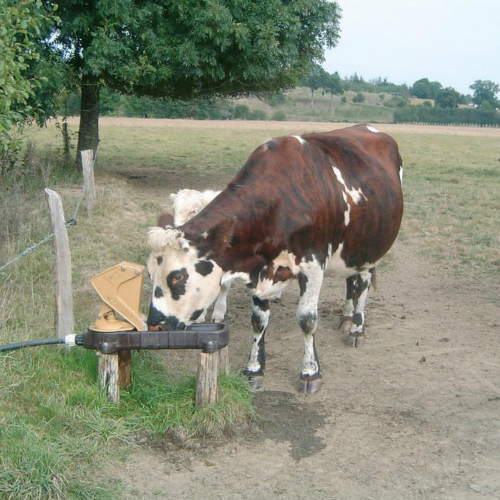 These pasture pumps are also very popular for the LIFE scheme to protect fresh water pearl muscle. While pushing the animal activates a diaphragm drawing the water through the tube. A non-return valve prevents the pump from running dry. Releasing the mechanism, the water flows into the small bowl under the rush lever. 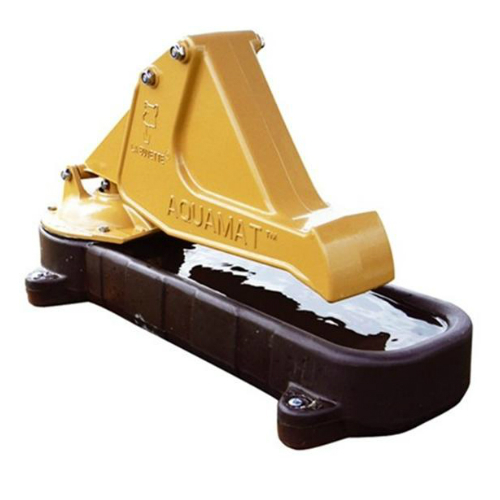 The Aquamat mechanism is very light to operate, which makes it also suitable for horses and calves from 6 months onwards. For nursing cows followed by their young, a special model is available featuring a small built-in bowl next to the trough allowing the calf and adult to drink simultaneously. For more information call us on 0217334066 or you can buy online here.